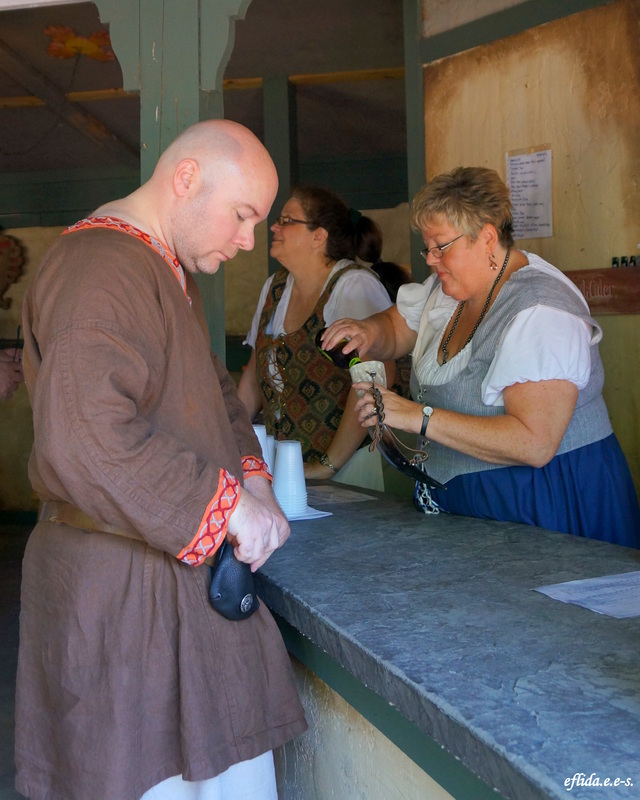 Food and Drinks at Michigan Renaissance Faire – i am uniquely and wonderfully made. 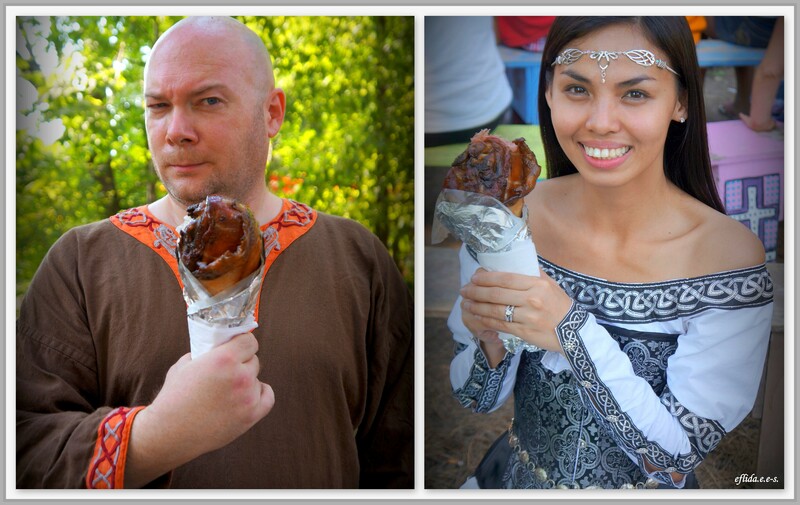 I had my first taste of turkey leg at Michigan Renaissance Faire. They said that you have never really been at the Renaissance Faire if you have not had this. Whoever said that is right and truly knows how perfect this turkey leg is. The festive smokey scent seems to follow us the entire day. Hubby laughed at how small my face looked next to the meat which I agree. Turkey leg at Michigan Renaissance Faire. In every corner at the faire, someone is shouting “pickles”. I was not a fan of pickles until this day that the faire made me. 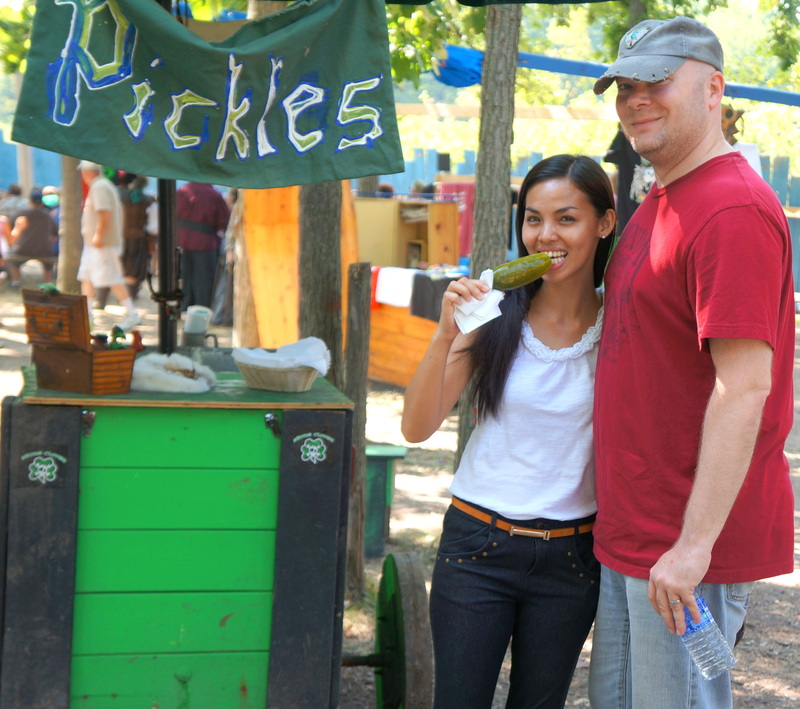 Pickles at Michigan Renaissance Faire. There are no rules really, but the proper drinking etiquette at the faire is the use of horns as your drinking glasses. That is why you see nearly everyone tagging a horn with them, though they make a good aesthetic use, they are tagged for a reason. Using horns as glasses at Michigan Renaissance Faire. 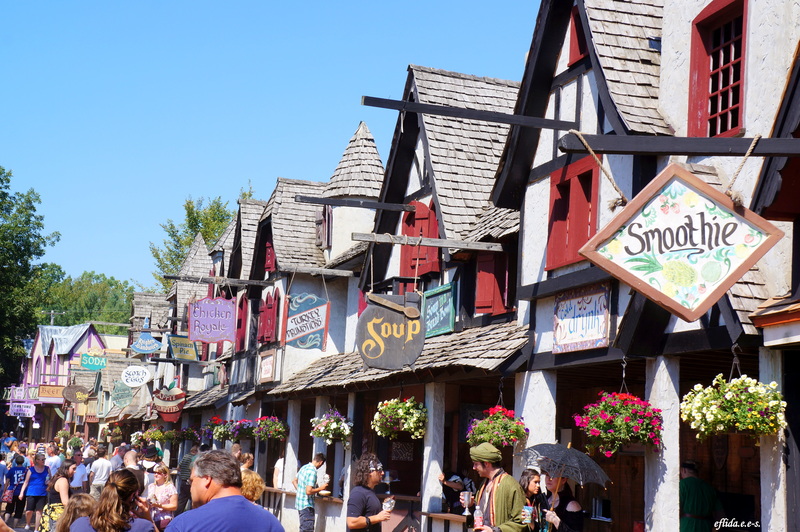 Food and drink shops at Michigan Renaissance Faire. 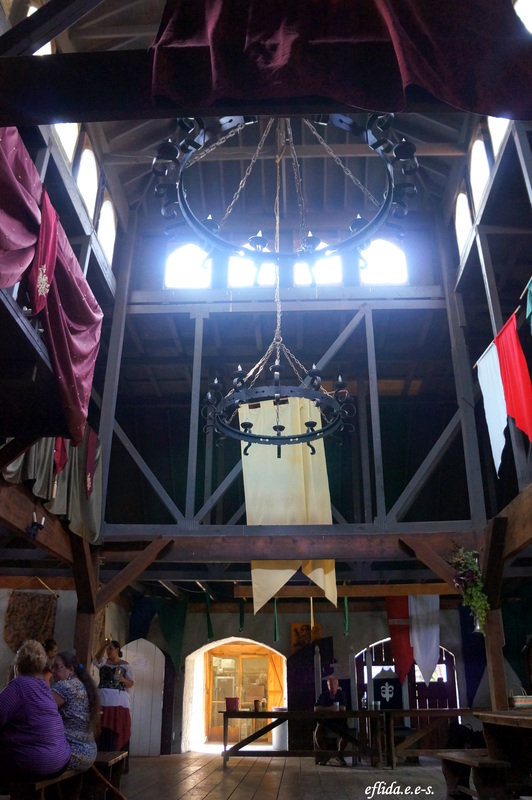 Blackstone Castle Cafe at Michigan Renaissance Faire. 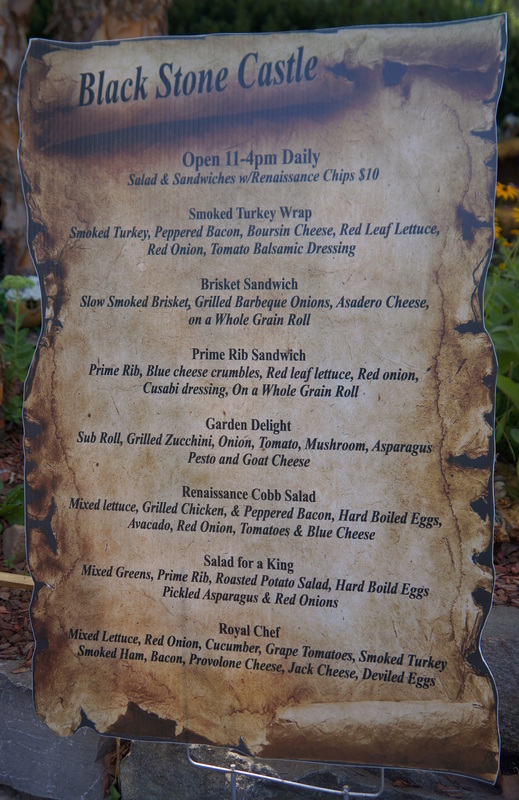 Menu at Blackstone Castle Cafe at Michigan Renaissance Faire. hey, your hubby looks like a nice gentleman !